Our Southampton office were been asked to look at redeveloping a large and prominent site of vacant shops with derelict sheds and former bakery which has been unoccupied for over 8 years. The proposal includes the creation of 9 houses ranging from 2,3 & 4 beds. The proposal provides 47 residential flats split into 3 separate blocks. The design includes a large central communal area and gardens which will be shared by all the residents. 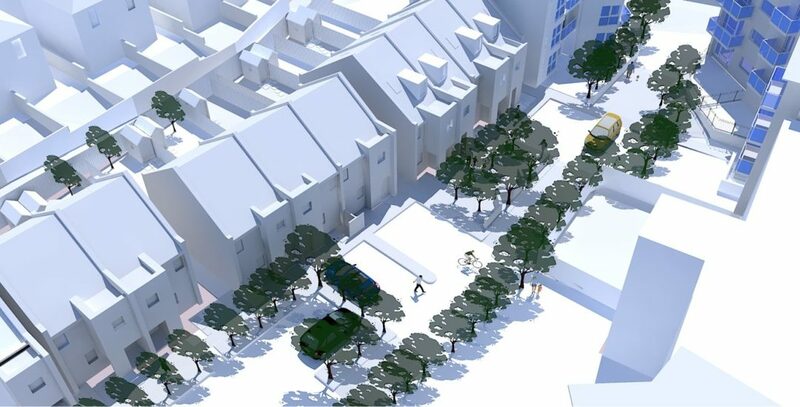 The development will provide decent affordable homes on a previously derelict site close to Southampton City Centre and will contribute to the local housing need with 30% of the units designed to be family housing.